Which in turn means lots of opportunities to entertain the friends and family around you. And while it may not be the main event for Christmas Eve or Christmas Day, it’s always a good idea to have the refrigerator and pantry essentials necessary to pull together a quick little snack or appetizer offering worthy of the holidays! This idea came straight from Food Network, one of my passions. Got a couple of jars of olives in your pantry? Drain them and toss them in a sauce pan over medium heat along with some olive oil along with flavorings of your choice. How about garlic & red pepper flakes? Or orange zest & rosemary? That’s my personal favorite. Delicious. Just set out the warmed olives in a bowl or small platter along with toothpicks and it’s a snack anyone would enjoy. Who doesn’t have popcorn in their pantry? It is hands down one of my all-time favorite snacks. Just ask my small group. I am liable to pop a few microwavable bags in just before they arrive on Monday nights. Nothing like the smell of popcorn to welcome your guests! And this method is so simple. Pop plain popcorn with whatever method you are comfortable (microwave or stovetop) and then drizzle with melted butter and then shake on some spice or seasoning for a little something extra! Cinnamon sugar, Chipotle powder, & Herbes de Provence dried herb mix are some great options for some really delicious snacks. Come to my apartment any day and chances are you will find some variety of store-bought hummus in our fridge. Now don’t get me wrong, I do love making my own homemade hummus, but sometimes fast times call for an even faster snack. Crack open the tub of hummus, pour it into a bowl, drizzle with olive oil, a sprinkling of cayenne or paprika for color & flavor, then top with a few Kalamata olives, feta cheese, or even some pine nuts if you have them. Serve alongside toasted pita bread or tear into a bag of Pita Chips. Simply delicious and you had to do was assemble! Presentation is everything in that quick tip. When it comes to cheese, I don’t really discriminate, but if I had to name the ruler of the cheese world, for me, I would have to say goat cheese. Creamy, dreamy, pungent, delicious goat cheese. Serve alongside a sleeve of store bought crackers or a few slices of day-old baguette toasted and you have an elegant appetizer in less than 10 minutes flat. Doesn’t that look good enough to eat? This is one of those tips I picked up from Ina Garten’s cookbooks and I have never looked at Shrimp Cocktail the same. So, have frozen shrimp in your freezer? 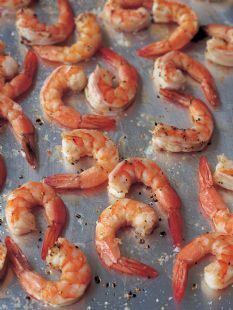 Thaw it, toss it with a tablespoon or 2 of olive oil, some salt, and pepper (about 1/2 tsp of each should do it), and then throw the little shrimpies on a sheet pan and roast in the oven at 400 degrees for exactly 8-10 minutes until they are firm & perfectly pink. Serve warm or at room temperature with store-bought spicy cocktail sauce. So, so good! We have this for Christmas Eve almost every single year. You won’t believe the flavor difference roasting vs. boiling the shrimp. Such a difference! And so easy too! And we will end on something sweet. I almost always have a few stray tortillas in my pantry left over from taco night that never end up getting used… until now! Simply stack the desired amount of tortillas one on top of the other and using a pizza cutter or sharp knife, cut them into strips. Place the strips on a greased baking sheet & spray the tops of the strips again. 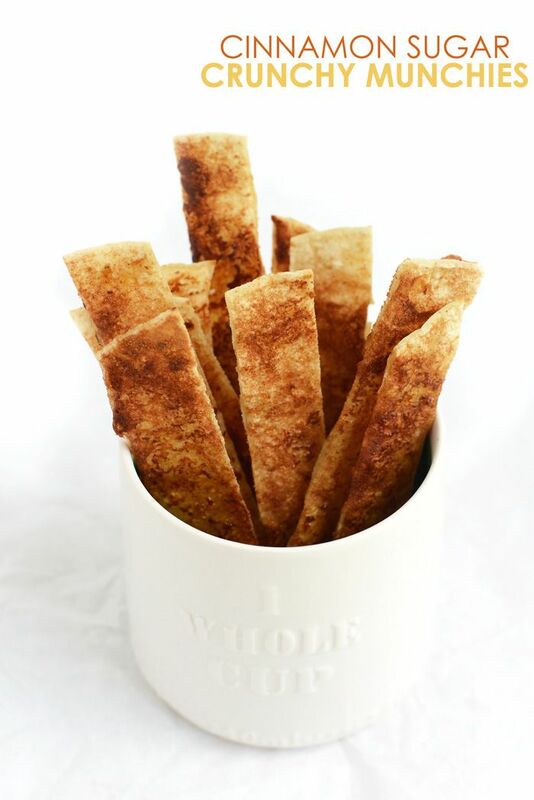 Then sprinkle the crisps with a mixture of cinnamon sugar & place into the oven on BROIL setting and allow to cook one 1 side for 2 minutes, flip, and allow the other side to cook the same amount of time. Watch these! They will burn quickly. I find the perfect ratio for cinnamon sugar is 3 to 1 sugar to cinnamon. Hope these tips, tricks, and easy recipes are helpful to you this holiday season. There really is so much to celebrate! Have fun & happiest of happy holidays! Can ya’ll believe it’s almost Thanksgiving? I don’t know about ya’ll, but it really crept up on me this year. This fall season thus far has just been crazy! It’s always that way though isn’t it? Once football season starts, it’s an all-out race to New Year’s. But, tis the season for our declarations on social media what we are thankful for on that given day, for us to break out our tabletop cornucopias and turkey centerpieces, and to bake with canned pumpkin like it’s our job. And the answer is pure, unadulterated, yummy, snacking pleasure. It’s sweet, salty, nutty, sweet, chewy, and crunchy. Checks off every craving on the list! And it’s a super easy snack to throw together and share with others. Could even be a darling gift for your kiddos to give to classmates. 1. 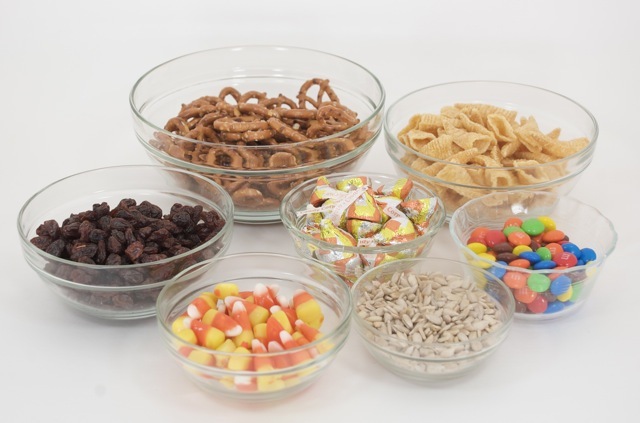 In a large bowl, mix equal parts of all above ingredients until it makes a delicious mix of crunchy, salty, fruity, and sweet flavors. *this great downloadable tag is from a blog called ‘I Have no greater joy’ at http://ihavenogreaterjoy.wordpress.com/tag/snack-mix/. 3. Give to those you love! Just delicious and so thoughtful! I know several of you are in full swing cleaning your home for company, rushing through the grocery store as you check items off your lists, making room in your fridge for the most gigantic turkey, but stop for just a moment and remind yourself of your blessings. Thank Him for them. Never lose sight of those sweet blessings. You are all blessings to me! “For this reason I kneel before the Father, 15 from whom every familyin heaven and on earth derives its name. 16 I pray that out of his glorious riches he may strengthen you with power through his Spirit in your inner being, 17 so that Christ may dwell in your hearts through faith. And I pray that you, being rooted and established in love, 18 may have power, together with all the Lord’s holy people, to grasp how wide and long and high and deep is the love of Christ, 19 and to know this love that surpasses knowledge—that you may be filled to the measure of all the fullness of God.